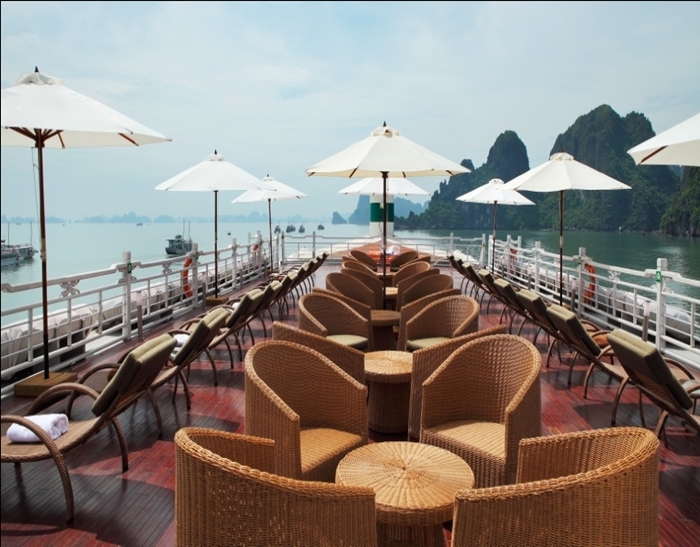 Taking its name from the legendary young fairy –considered the Great Mother of Vietnamese, Au Co Halong Cruise is among the most luxurious cruise ships operating in Halong Bay. 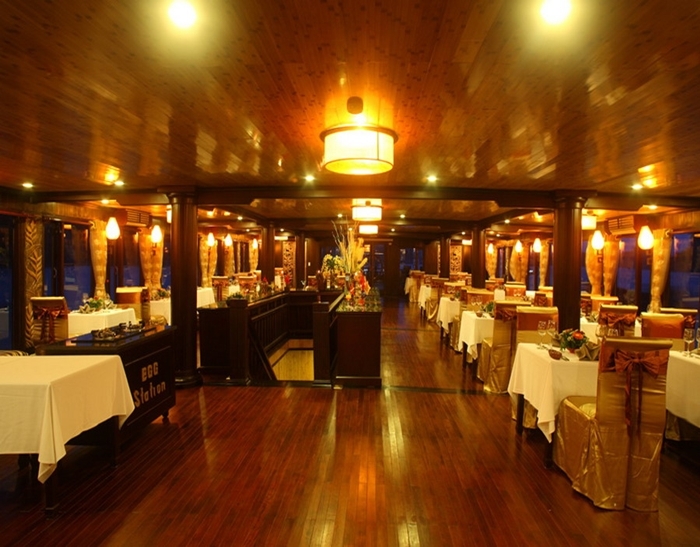 The French architects have worked hard to give Au Co Halong Cruise a beautiful fusion between Western and Eastern style, embedded in every single detail of the vessel’s interior and exterior details. 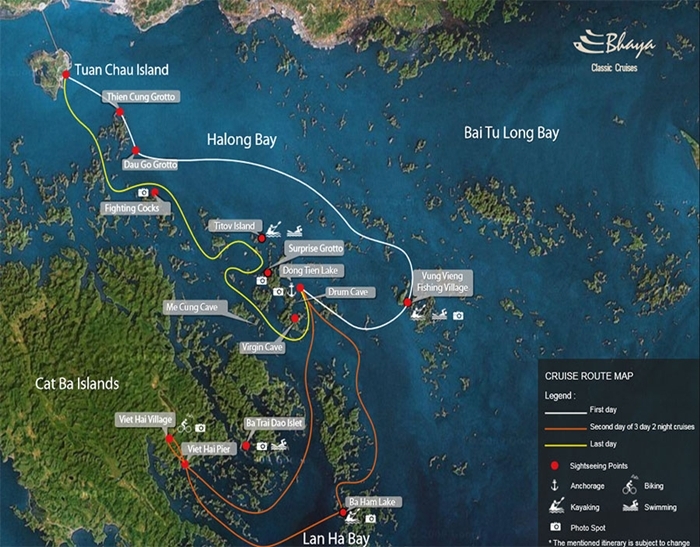 To date, Au Co Halong Cruise is the only cruise in Halong Bay to deliver an exclusive 3 day 2 night trip, covering all three major bays: Halong Bay, Lan Ha Bay and Bai Tu Long Bay, as well as the pristine Cat Ba island. Whichever cabins you choose, you will be guaranteed an exciting trip delivered by experienced and helpful Au Co’s crew. 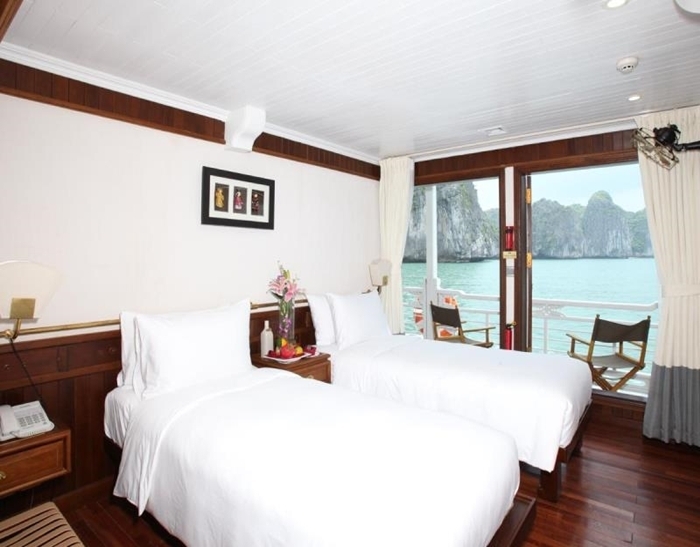 Get ready to treat yourself to the luxury amenities on board while experiencing the true beauty of Halong Bay in a sustainable and environmentally friendly way. 32 cabins of 5 different types: Deluxe, Grand Deluxe, Executive, Long Quan and Au Co are sophisticatedly and artistically designed to bring out the most memorable experience for voyagers. 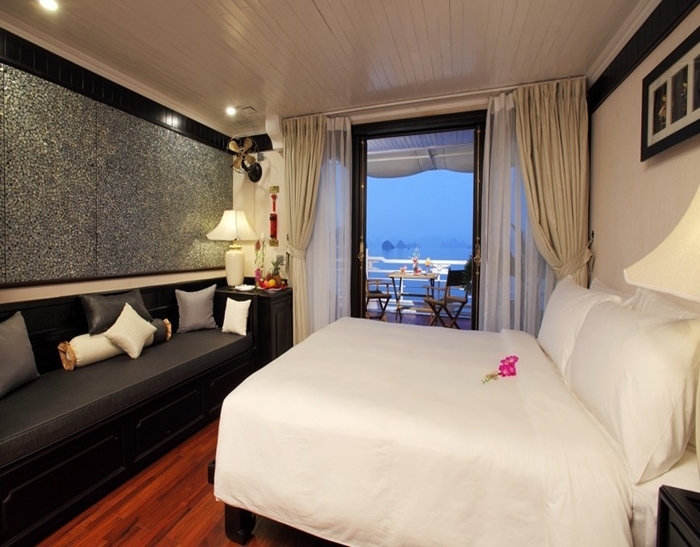 Each cabins are equipped with floor-to-ceiling windows and glass doors, allowing guests to enjoy panoramic view of the Bay. Timber floors and private balcony creates a space for utmost relaxation and enjoying sunlight and fresh air. 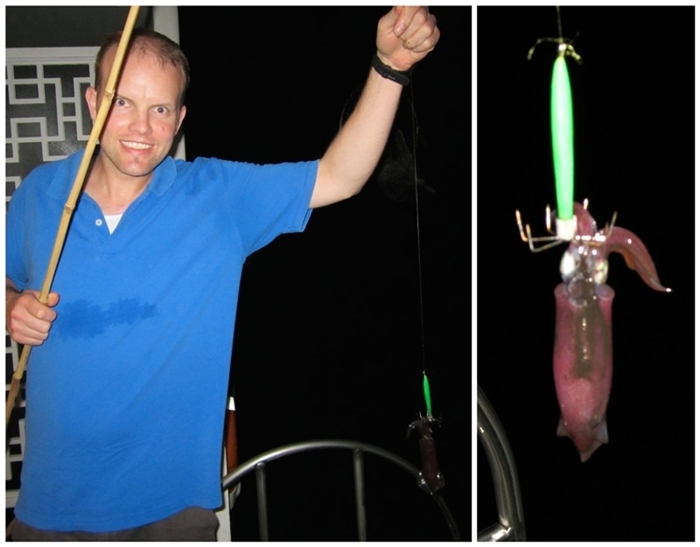 It is not an exaggeration to say that Au Co Halong Cruise is the best choice for upper end cruise in Halong Bay. 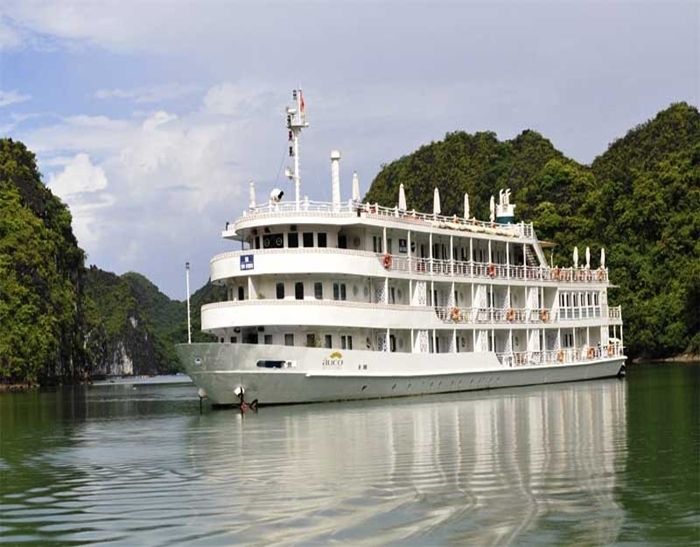 Book Halong Auco Cruise and Au Co Halong Bay Cruise directly through Vietnam Eco Travel to get the best rates, big promotions and discover a different world with our luxury Halong Bay Cruises and Halong Bay Tour. 08.00 Scenic three hours drive from Hanoi to Halong bay. 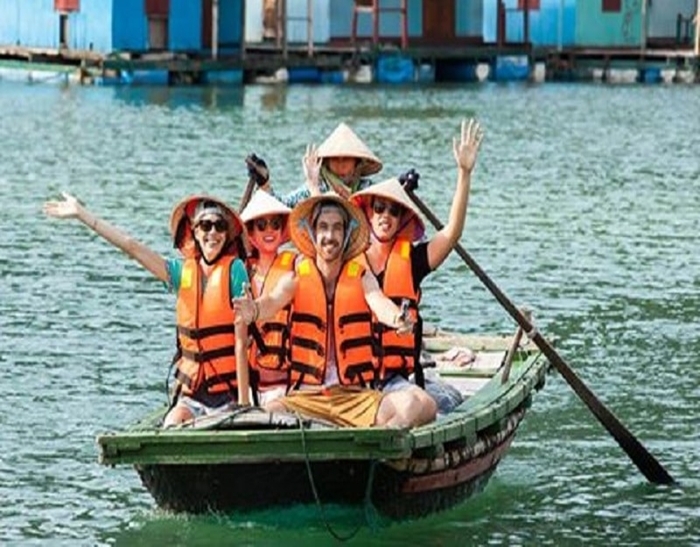 12.30 Embark The Au Co Halong Cruise and start cruising leisurely towards Vung Vieng floating fishing village in Bai Tu Long. 19.15 Our first 5 elements signature dinner of Wood, Fire, Earth, Metal, and Water is served while the boat is anchored for the night. 10.45 Disembark in Tuan Chau and take shuttle bus to return to Hanoi. 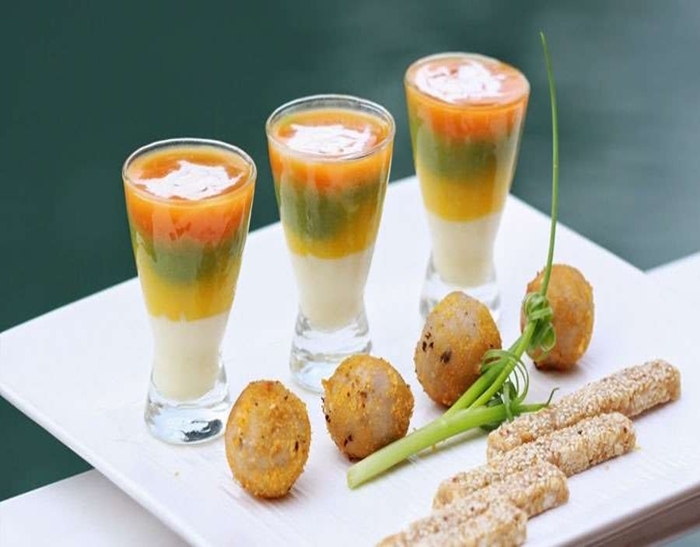 Price for child below 6: Free of charge, limiting to one child per booking only. Applied for all the room on 24/12 & 31/12: Surcharge 45$/adult & child > 12 years old, 25$/child from 6-12 years old, Free for child under 6. 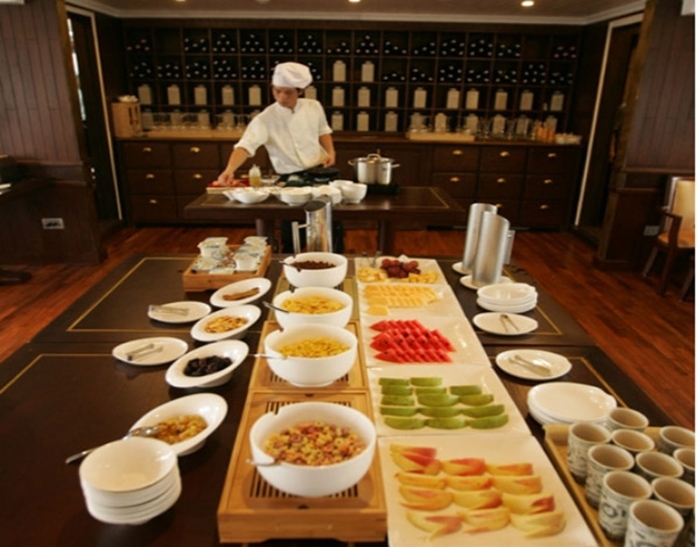 What do you think of Au Co Halong Bay Cruise? 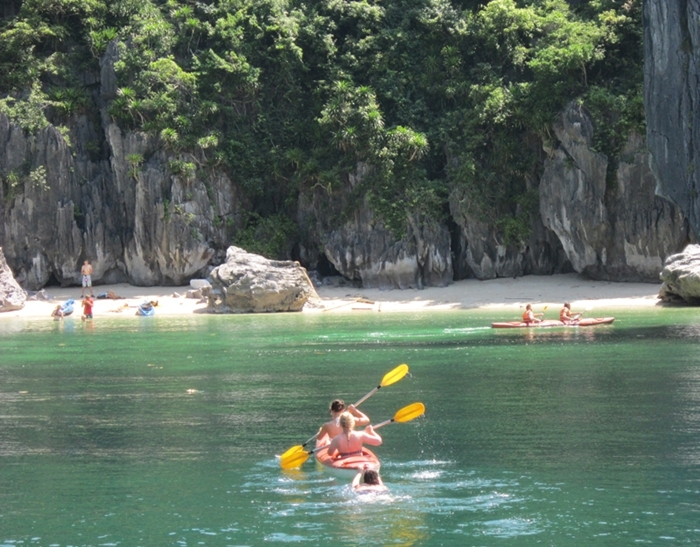 "Halong Bay via the Au Co"